A 5 minute walk from the centre of Oxford brings you to this beautiful cafe serving delicious food throughout the day with views of Christ Church and its meadow. Lewis Carrolls 'Alice in Wonderland' has inspired Cafe Locos Mad Hatters Tea Party. 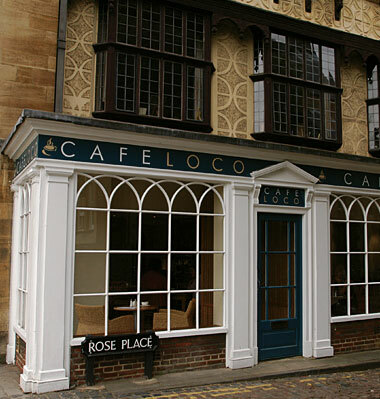 Come and have a cream tea and experience the best coffee in Oxford as you visit the city and enjoy its amazing History. Excellent food and service. I had salmon pasta, which was one of the specials for the day and was delicious. Good ambience and a lovely setting. Handy for a stroll round Christ Church meadow.